Wishing I could get to bed before midnight. Nothing is stopping me... I am my only obstacle in accomplishing this and yet it seems soooo impossible. Struggling to get into the habit of using the treadmill (or going out for a walk) every day. Reading my Bible and focusing on it alone this month in an effort to reintroduce it into my daily routine. Anxious to move to our new home. Excited to start working on some photo journal projects. Praying that our house sells soon. Accepting that I can not plan every detail of the next few months. Surrendering myself to God and trusting in His timing. Leaning on the verse "Therefore do not worry about tomorrow, for tomorrow will worry about itself. Each day has enough trouble of it's own." Matt 6:33 It's becoming my life's mantra. Nesting, is over planning and making things for the new addition considered nesting? I'm calling it nesting because it makes me feel less crazy. Entertaining the idea of opening a new shop and playing around with names. 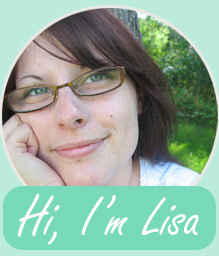 Considering a blog facelift... again... I'm just so indecisive these days. Preparing for my mister to go back to shift work. This last year of him working 8am-4pm has been wonderful! Alas, it couldn't last forever. Tired of keeping our house spotless for viewings and constantly "show" ready. thanks! It's taken in a small town about 45 minutes from us. I love lighthouses!